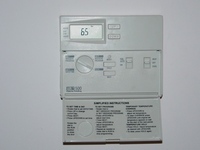 If you have regular mechanical thermostat you probably paid attention how often your furnace kicks-off. Every time when thermostat is calling for heat the furnace use a lot of gas to bring temperature in the heat exchanger to the point when the blower starts up. Therefore, here is a conclusion: you need a programmable thermostat to save some money. If you would like to read more, please use the “BuyNow” button below and you will gain an instant access to the third chapter of my "Energy Saving Edition" book dedicated to the energy conservation issues! 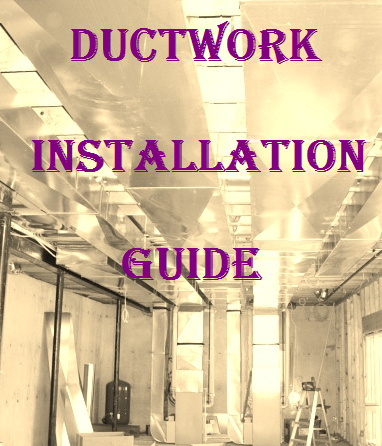 In the chapter you will learn how to save energy by using a Programmable Thermostat and how to install it in your house. The chapter has 2 pages and 1 pictures in it. Price of the chapter is only $2.50. 30. 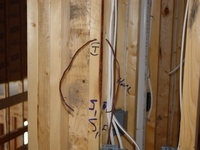 Thermostat Wiring* – the chapter talks about thermostat wiring and describes how to run thermostat wires at the Rough-in. The chapter has 2 picture; 2 pages*. $2.00 (Instant Access). On 03/01/2014 text of this chapter was significantly modified and improved. The chapter has 3 pictures; 1 page. $1.86 (Instant Access). I have a Goodman GMH950703BX 69,000 Btu 95 % Furnace. My question is I normally set the Thermostat at 67 and it seems like the air is not that warm when you feel down by the vent, but if I go out side or don’t pay attention to it went it kicks on the house feels fine. The other question I have is My bedroom is above the garage and it seem that at 67 the room is cold but at 70 the room is fine is there a way I can program the furnace to burn at the high temp so I can run at 67,or is there not that big of a difference from 67 to 70 in my bill ! Furnace may not be set up right. As in was its input rate checked in both stages, and the blower adjusted properly? There is no way to make it go to second stage right away, 10 minutes in first then second stage is built into the board. Probably 5 to 10% increase in heating bill between 67 and 70. You said 10 minutes and the second stage should kick on. When my furnace kicks on it runs for 6 to 7 minutes and it stops, should it be running longer if so should I have someone come out and take a look at it. It could be that the CPH is set to 4, or that the furnace is slightly over sized. That it’s not running longer. Of course at mild outdoor temps, it won't run long enough to go to second stage. What thermostat do you have, and what size house. Your house is heating up fast enough that it does not hit the 10 min mark to go to 2nd stage. Will go there on real cold days or if you have a true 2 stage thermostat installed. Look on the circuit board to see if there is a wire attached to W2. If not then you have 1 stage and timed switch over. Higher temp runs it longer and progressively gets the further away areas warmer. If it was going to 2nd stage the fan would blow more heat faster there. With a 2 stage stat it needs to drop more than 1 deg F B4 it switches to 2nd so in mild weather the furnace can probably keep up with the load on 1st stage and you just need to get used to it. High efficiency units supply air at 130*F which is 20* lower than the older units and feels different but you get used to it. 2 stage thermostat needs another wire from stat to furnace installed. The Goodman GMH can't be controlled by a 2 stage stat. Goodman made it that only the furnace control board controls the staging. They decided to cash in on the customers that want the comfort of 2 stages, with a low price. But the customers don't know that they don't get the comfort that 2 stages are suppose to provide, because the board is crippled, to make it cheaper.